For the past several years, where jewelry’s concerned, dainty pieces have been favored over the rest. Whether worn solo to match a minimalist wardrobe or stacked up to create a bolder look, everyday rings, necklaces, and bracelets have reigned supreme. 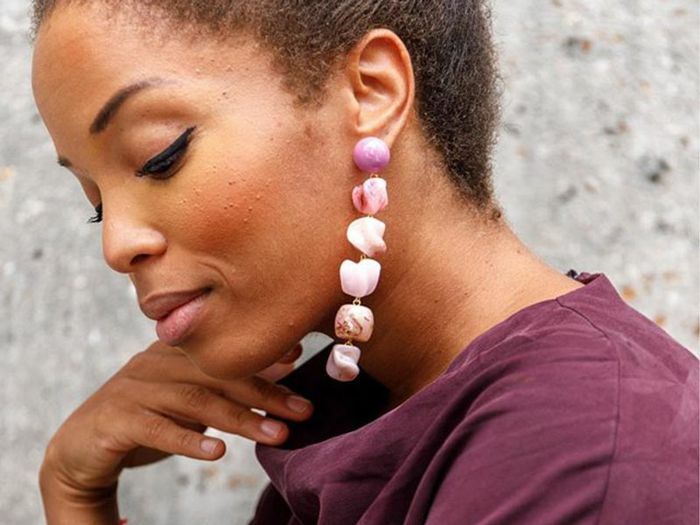 Of course, statement earrings never quite left, but in 2019, we can expect new and exciting jewelry trends that make an impression, exploring new, fun colors, shapes, and sizes across rings, bracelets, and necklaces as well. Whether it’s jewelry reminiscent of our childhood or modern favorites taken to bigger and better levels (literally) or, of course, a hodgepodge of everything when that fashion indecision strikes, all things colored will be more approachable in the New Year. For a helpful visual (and of course some shopping inspiration), we’ve rounded up our top three favorites. What makes them so great? Well, they perfectly complement all the bold color trends we’re also seeing popping up in our closets (hi, slime green! ), and it’s always nice to switch things up come a new year. So, without further ado, scroll on to see which one you would like to try out. Disclaimer, though: We highly suggest all three, and they all go well with an NYE outfit—just saying. 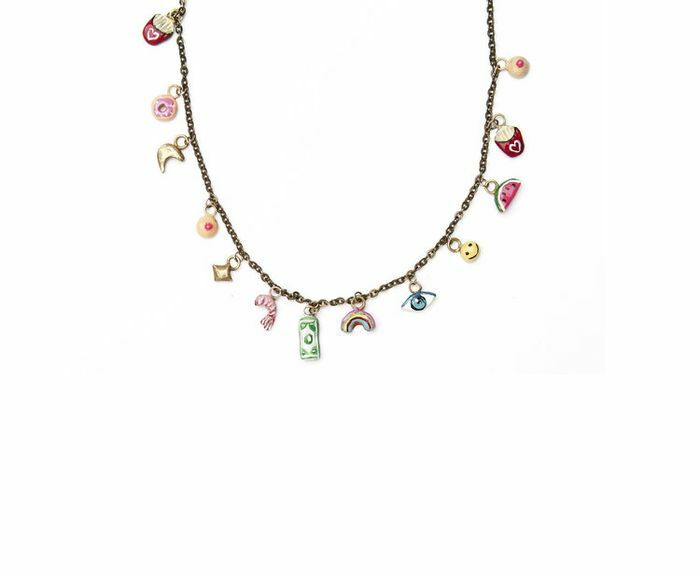 How fun is this necklace? Somehow this statement necklace is still so subtle. Just as good as the bracelets we used to have when we were little. Pair this with your charm bracelets and gold ones too. Cotton candy–colored earrings? Yes, please. When you want to add a bit of bedazzle to your wardrobe, just wear these bracelets. Elevate your ring game with these jeweled ones. A fun upgrade on simple hoops. Think classic hoops, but larger than life. Play around with the shapes of your hoops. The chunkier the hoops the better. Next up: When it comes to bridal jewelry, you have to keep an eye out for these trends.